Interview: Sonata Arctica’s Henrik Klingenberg – Spotlight Report "The Best Entertainment Website in Oz"
Thanks to Riot Entertainment and Nuclear Blast, we had the chance to interview Finnish keytarist prodigy, Henrik Klingenberg from the amazing power metal band Sonata Arctica, about the band’s new album Pariah’s Child, playing the keytar, cover songs and much more! SR. What can you tell us about the process of the new album Pariah’s Child? HK. Well we did practically we have done before, we all started by listening to demos made by Tony and then we pick the songs after that and then when we have a decent amount of songs to work with we work together as a band. This time we had our last festival mid August and two weeks later we were already in the rehearsing process. We spent maybe 4 weeks doing that fixing arrangement and such, some songs are dropped in the way and some new ones are created and after that we just go the studio to record the album. SR. For us, our favourite is the first track ‘The Wolves Die Young’ it’s has an epic vibe like Games of Thrones by some sort. I wonder which one is your favourite song of the album? HK. Well it changes every day but I think is ‘What Did You Do in the War, Dad?’ I like when we played live, yeah definitely that’s my favourite. SR. Also the song ‘X Marks The Spot’ has some funny bits. That was something that come-up before recording or while you were in the recording process? HK. Was during the recording actually, we come up with the song before but then we thought we could add some stuff that might work. It was something we come up along the way but the song was prepared definitely before getting to the studio. 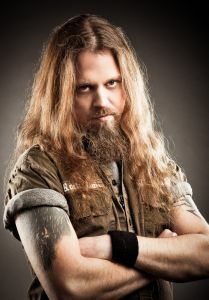 SR. Can you tell us how did you join Sonata Arctica? How hard was to get the part? SR. Being a Keytarist is quite unusual. What got you into playing Keyboards? HK. Well I have always played keyboards since I was a kid and classical piano, then as I was growing up I started listening to rock bands and guitar and bass always stand up but keyboards was more in the sidelines, so I thought that it was kind of boring, so I got this keyboard-guitar and then when I was auditioning for Sonata, Tommy remembered that I was playing in the supporting band and I was using that guitar-keyboard and asked me if I still have it, I said of course I have it, then he said well you have to use it, of course I say yes and I’ve been stuck with it ever since. It’s a bit awkward to play at first but then you get used to it, nowadays if I don’t play with it and I have to use just a keyboard feels a little weird. SR. With which band you would like to collaborate with? HK. I will play with anybody! I don’t care! (laughs). I usually like heavier stuff like Slayer, Pantera and Children of Bodom, but is not the same deal with Sonata. I think it will be cool supporting Iron Maiden again as we did twice in Japan and that was really great. SR. You guys did a cover of the Scorpions’ song ‘Still loving you’ as part of the album ‘Takatalvi’ back in the day. Have you had any feedback from Scorpion about your cover? HK. That was back in the day, so I don’t recall any feedback from them. SR. Do you guys plan to work on another covers anytime soon? HK. Well we actually have a cover that is done but I’m not sure when we are going to release it but it’s a song called ‘I Can’t Dance’ by Genesis. SR. An important question that every fan in Australia wants to know is when you’ll be coming over here? HK. I’m sorry to say I don’t know that answer to that one but I mean we have been there once before and it was really great. We are all looking forward to the chance of coming back and we will try to work something out. But so far, nothing has come up. This year we have so many shows already, so maybe toward the end of the year when we are in Japan – we can try do something in connection that. But that is all I know for the moment. We’d all be happy to come back sometime. 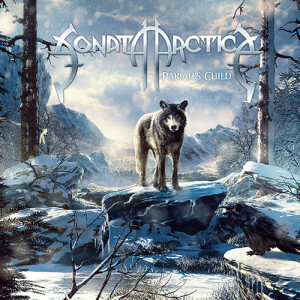 SR. How do you feel the sound of Sonata Arctica has changed through the years? HK. I think, from the beginning we were a lot younger, so it’s a different kind of approach as you get older and learn more stuff. In that respect, I think the sound has become more mature – I’m not sure whether that’s a good thing or not, just depends on who you ask. I think we know a little bit more about what we are doing these days and it’s not just random. At the moment, we are really confident at what we are doing and how the band sounds. I think it works out really well. SR. Have you or the band ever received any crazy fan request that you would like to share with us? HK. Just a few days ago we were playing a show in Finland, and a guy in his fifties started shouting between songs that he was waiting 15 years to see us, screaming things like “I’m originally born here and I’m from there”. We were just baffled. We were playing a club and Tommy asked if he wanted the mic, and I think he would have taken it, so we just decided to ask him to shut up. People act really weird, he thought our show was a good place for him to come forward in front of 700 people and share his life story. That is not what we had planned. SR. Have you personally had anyone come up to you with something weird to get signed? I mean, I sign pretty much everything from picks, CDs, and posters. Well, one time someone asked me to sign their car. So people ask for all sort of stuff. In this day and age, nothing really surprises me it seems. 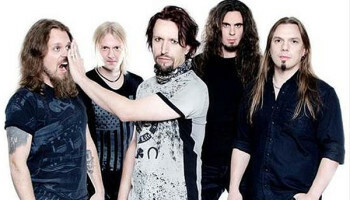 SR. How would you describe the Sonata Arctica fans? HK. Well I think they have a pretty big variety in fans. I mean, we have the young kids from 17-18 to mid twenties, which are a big part of our fan base. And a lot more younger fans that don’t always have the opportunity to come to our shows since we play a lot of club shows. On the other side we have fans that grew up listening to us – people who could be forty, fifty or sixty. So it’s really a big variety – I wouldn’t say that there is an atypical Sonata Arctica fan. SR. Which do you think is the most memorable show that you have ever played? HK. It’s hard to say, I’ve played over 700 shows with this band now. But a few shows have been standouts. The first time we played in the United States was a big thing because we were a European band to have gone there – that was a childhood dream. Also the first tours in Japan, South America and the first time we came to Australia or whenever we go to a new country or continent. Last time, we played at Scream Fest in Sydney on New Year’s Eve. I was really happy about that because I thought it was cool that we would stop just before midnight and I can watch the fireworks, what I didn’t realize is that we were playing six or seven miles outside of the city, so I never saw the fireworks. SR. Lastly, do you have a message for your Australian fans in regards to the new album? HK. It would be really great for us to come back since the first time was really great. We have a new bass player and a bunch of new songs. We are basically just waiting to get back on the road and play as many places as possible and we hope to see you guys!